Changes in the 2019 Pacific Hearts. The first 10,000 words of your manuscript plus, at the end, a 2,000 word judged synopsis. The full completed manuscript in case you final. Readers will judge the first 10,000 words plus the 2,000 word synposis and the finalist manuscripts will be read in full. The number of finalists will be determined by the number of entries and is at RWNZ’s discretion. NB. Entrants must get a minimum score of 80% to progress through to the final round. So when you enter, please have your two .doc or .docx files ready to upload. This contest is for a complete romance manuscript and is open to paid up members of RWNZ only. You will be asked to upload two files – file 1 containing the first 10,000 word plus, at the end, a 2,000 word judged synopsis. Then the full manuscript file. All sub-genres of the romance genre are acceptable but the romance must be the main driver of the story. For the purpose of this contest, a romance is defined as a fictional story in which the development and resolution of a romance between two people is a primary motivation of the plot. A happy ending is mandatory. Manuscripts must be between 40,000 and 110,000 words in length, by electronic word count, including chapter headings, section dividers, etc. Format: Times New Roman or Courier, 12 point. The text is to be fully justified. Each entrant must be a current financial member of the Romance Writers of New Zealand for the duration of the contest i.e. until the winner is announced. If the manuscript is a collaboration, each contributor must be a current financial member of Romance Writers of New Zealand. 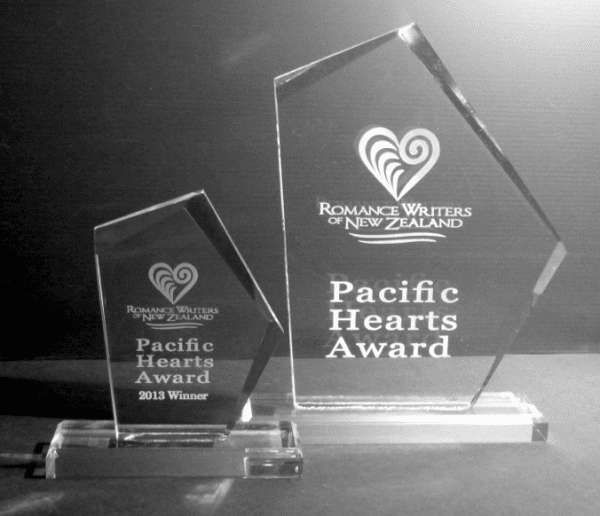 Submissions must not have received a first, second, or third placing in a previous Pacific Hearts or the Clendon contest. And the same manuscript may not be entered more than twice. For the duration of the judging of the contest, entrants (not only the entry) must not have been published, self-published, contracted to publish, or been accepted to publish, whether in print or digitally, within the previous five years. The entry should not be published in any format until the FINAL judging has been completed, but may be published at the end of the FINAL judging rounds before the winners are announced at RWNZ conference. ** The only exceptions: is if the entrant has published any short stories of up to 30,000 words and non-fiction works within the previous five years will not affect eligibility. NZ$33.00 per entry This entry fee is not refundable under any circumstances, and the entry is not complete until it has been paid. Up to two entries will be accepted from each entrant. A separate entry fee is payable for each manuscript entered. Initial judging will be of the first 10,000 word plus a 2,000 word judged synopsis. Judges are a group of romance readers using standardised evaluation sheets. At least five people will read and evaluate each manuscript. The top and bottom scores will be dropped and the three remaining entries used to calculate the finalists. The entries with the top scores will go to a second round of judging on the full manuscripts. The three top-scoring manuscripts from this round will be passed to the final judge for consideration. 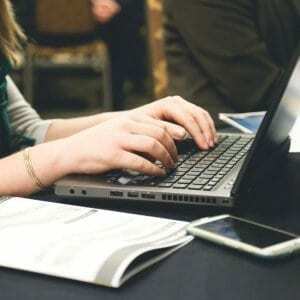 The three finalist entries will be judged by an editor, usually from Harlequin. The final judge for 2019 is Megan Broderick at Harlequin Canada. The 2019 winner receives a development critique by Lesley Marshall. Lesley will offer a full read of the manuscript, making lots of marginal comments and providing a report of 5-9 pages covering the big-picture stuff— characterisation, pace, plot, motivations etc. Second and third prize winners will receive a critique of the first 5000 words of the first chapter and the first 1250 words of the synopsis. This product can only be purchased by members. To purchase this product, sign up by purchasing Member Subscription, or log in if you are a member. This contest is for a complete romance manuscript and is open to unpublished paid up members of RWNZ only. The romance must be the central focus of the story. All sub-genres of the romance genre are acceptable. For the purpose of this contest, a romance is defined as a fictional story in which the development and resolution of a romance between two people is a primary motivation of the plot. A happy ending is mandatory. The romance must move from one level to the next through the course of the story. Where there is doubt about the classification of a submission, the sponsors will decide its classification, and their decision will be binding. 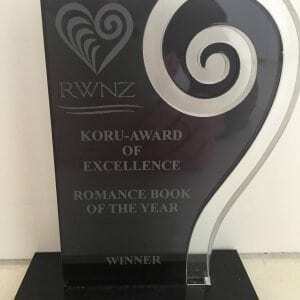 Each entrant must be a current financial member of the Romance Writers of New Zealand throughout the duration of the contest, right up to when the winners are announced. If the manuscript is a collaboration, each contributor must be a current financial member of Romance Writers of New Zealand. For the duration of the judging of the contest (that means until the final judging is completed), entrants (not only the entry) must not have been published, self-published, contracted to publish, or been accepted to publish, whether in print or digitally, within the previous five years. The entry should not be published in any format until the FINAL judging has been completed, but may be published at the end of the FINAL judging rounds before the winners are announced. Manuscripts must be between 40,000 and 110,000 words in length, by electronic word count, including chapter headings, section dividers, etc. Format: Times New Roman or Courier, 12 point. The text is to be fully justified. Initial judging will be of the first 10,000 words plus, at the end, a 2,000 word judged synopsis. Judges are a group of romance readers using standardised evaluation sheets. At least five people will read and evaluate each manuscript. The top and bottom score will be dropped and the remaining three scores averaged. The entries with the top scores will go to a second round of judging on the full manuscripts. The three top-scoring manuscripts from this round will be passed to the final judge for consideration. The three finalist entries will be judged by an editor. Failure to comply with any or all of these rules may result in the entry being not accepted or disqualified. Read the entry information and submission instructions carefully. Manuscript pages typed in standard, double-spaced format, Courier New 12 pt or Times New Roman 12 pt font, approx 2.5cm margins on all sides, paragraphs indented approx 1cm. Entrant’s name does not appear anywhere on the entry (either the initial 10,000 words plus synopsis, or the full manuscript). Header appears on every page with title, subgenre/category line and page number. Entry saved as a Word .doc or .docx file and uploaded as an attachment on the online entry form. Separate online entry form is completed for each entry as a separate online submission. Your entry is not valid unless the entry fee has been paid. Word count for the full manuscript does not exceed 110,000 words. Scoresheet will be coming soon! Click the link below to download the Required Entry Format for the Pacific Hearts Contest.